Of those who said they weren't reporting (which included some who had gains), 35% said they didn't think they were required to report it. Another 57% said they didn't think their gains or losses were large enough to require reporting. And 22% said they "didn't know how." But the losses average out to $718 per crypto investor. And that's definitely worth reporting. As painful as such losses can be, investors owe it to themselves to minimize them by claiming them as capital losses on their taxes. And it's not so much that they're all trying to evade taxes; the unwillingness to claim losses from 2018 suggests most crypto investors simply don't know what they're supposed to do. I lay much of the blame on the IRS for not bringing clarity to cryptocurrency taxes. The one statement the agency made in 2014 is inadequate and badly needs updating. I've made this point again and again, but all we've gotten from IRS is radio silence. Today I'm going to explain in plain English the particulars of cryptocurrency taxes so you don't miss out on any refund money the government owes you. 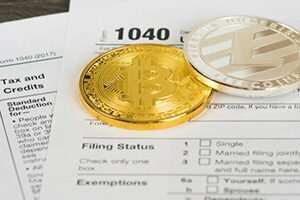 What the IRS said in 2014 – all we have to go on – is that cryptocurrencies are considered "property." Basically, that means gains and losses from the sale of crypto are, like the gains and losses from the sale of stocks, capital gains and losses. Long-term capital gains have their own tax rates ranging from 0% to 20% (although it's based on your taxable income). Capital losses can be used to offset capital gains. A simple example: Let's say you sold some Apple stock for a gain of $10,000 in 2018 and sold some Bitcoin at a loss of $7,000. The IRS allows you to deduct the loss from the gain, so you only need to pay tax on $3,000 instead of $10,000. At best, you'll be able to download a record of all your transactions so you can calculate the cost basis yourself. Using a service like CryptoTrader.Tax, CoinTracker.io, CryptoTaxPrep.com, Cointracking.info or Bitcoin.tax helps, but it's still an extra step that costs extra money. Now, if that's all there was to it, figuring cryptocurrency taxes would only be a bit more inconvenient than dealing with other capital gains taxes. This article just shows how far afield crypto currencies have deviated from their intended purpose. 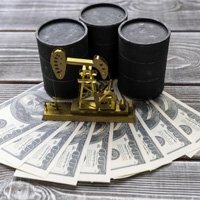 They were never meant to be an investment tool, they were meant to be an underground medium of exchange free from government oversight. I’m glad I don’t own any because I knew this would happen.